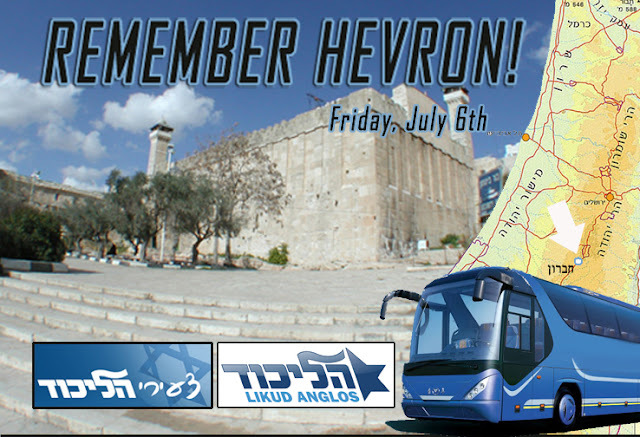 Join Likud Anglos and Young Likud for a tour of Hevron and a show of support for the Jewish community of Hevron and Jewish settlement in all the Land of Israel! RSVP REQUIRED! SPACE IS LIMITED!